The single most popular meal in my family. I think we had it a minimum of once per week when I was growing up. After I found out I had a gluten intolerance, there wasn’t much I had to change when eating tacos. You just need to make sure the sauces/spices are gluten free and that you are using corn shells. 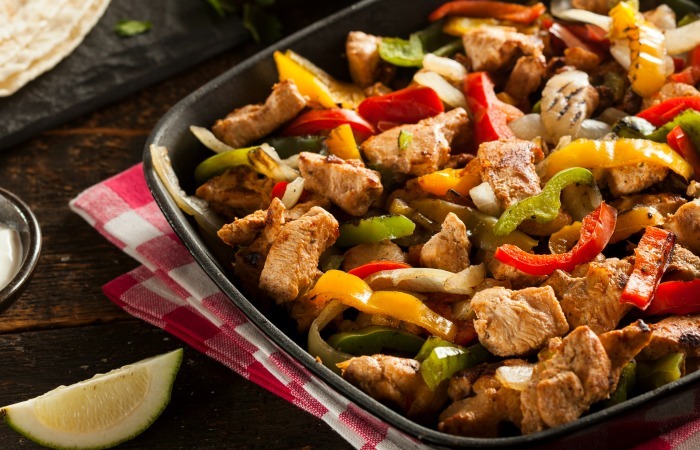 You can also switch out the meat for something like steak or shrimp and grill up some vegetables to make fajitas! When you’re busy and need a quick meal, mac and cheese is a great option. It’s also widely loved by young and old hungry mouthes alike. Below we’ve included a few recipes, with the first taking less than 30 minutes to make. One great gluten free meal with a lot of variables is Stir Fry. You can mix all kinds of vegetables, meats, sauces (as long as they are GF! ), and rices in for a unique dinner every time. Below we’ve included some of the top gluten free stir fry recipes to get you started. 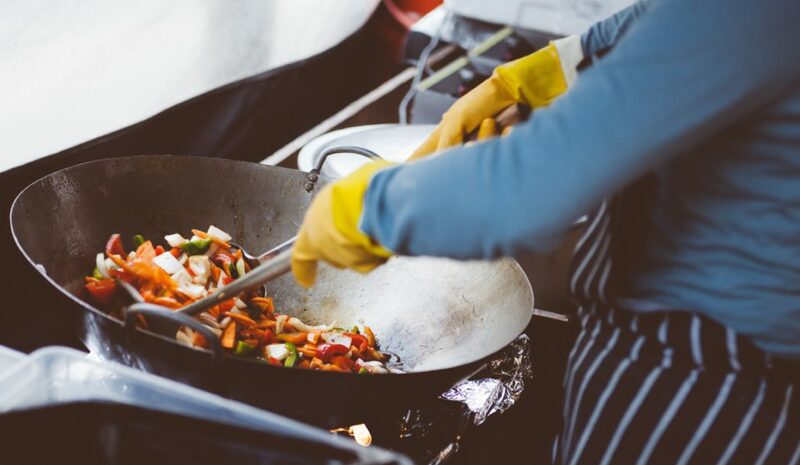 One thing you’ll need for any decent stir fry is a reliable wok. I picked up the Joyce Chen Classic Wok a few months ago and my meals have never been the same. Trust me when I say this, Wok’s just make your stir fry (and many other meals) taste better. And they’re really easy to clean afterwards too. Find more woks here. Crispy, crunchy, and golden delicious. The taste of a warm baked or fried chicken tender is out of this world. Add some delicious dipping sauces and you are on the moon. 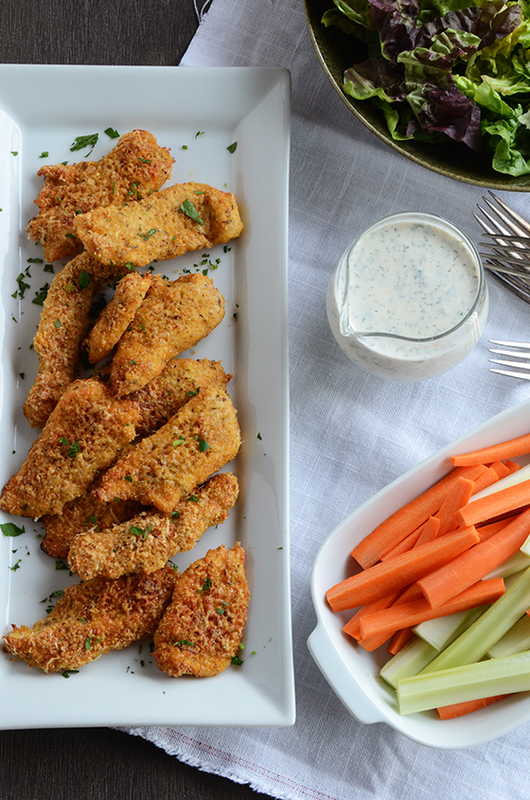 Chicken tenders make for an easy meal and go great with some fresh vegetables, a garden salad, a starch, and more. Fresh lettuce filled with chicken, water chestnuts, ginger, garlic, scallions, and other tasty ingredients. 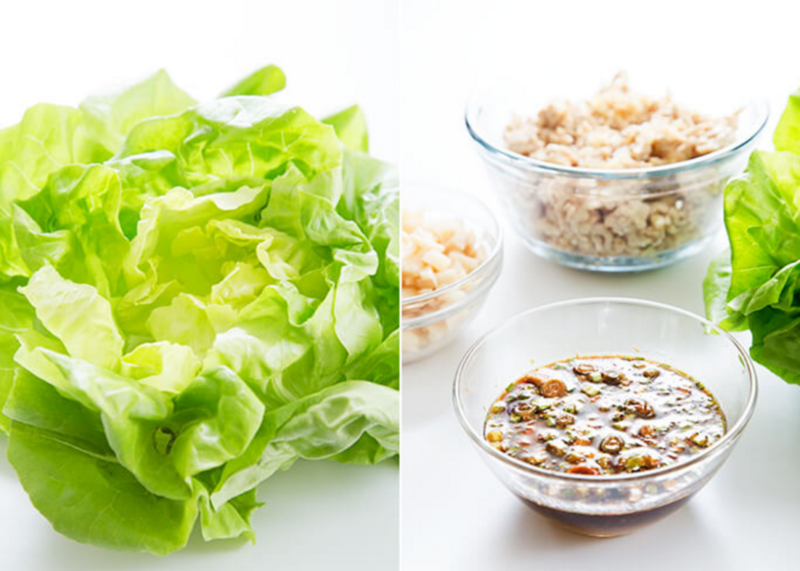 Lettuce Wraps are a great dinner option because they are fun to eat and take less than 30 minutes to make. You might want to double up the recipe on these for a full dinner or make some rice on the side as the wraps can be a bit light on their own. Find out the perfect blend of gluten free flours to make your pizza crust. Whether you are a fan of oven baked thin crust pizza or you want that Chicago Style deep dish pizza, there is a recipe out there for you. Sometimes, the only option is soup. Maybe it’s freezing cold outside and you need to warm up. Maybe you’re sick and you want to soothe your throat. Or maybe you just want a hearty, warm meal. 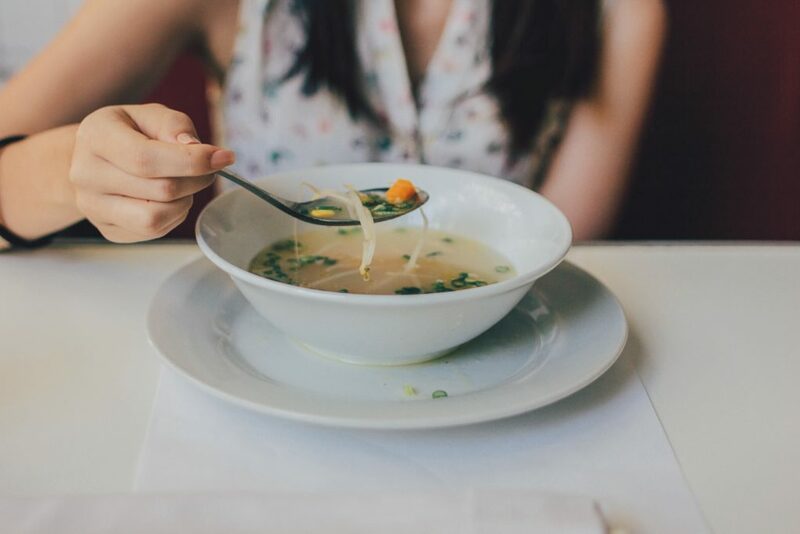 Whatever the reason, soup is a fantastic dinner idea for people with an allergy to gluten because there are so many variations and options you have. You can make soup with any type of meat, vegetable, seasoning, and/or broth based on your preferences. Salad is a favorite for many people because of it’s simplicity. You can prepare it quickly and without much work. 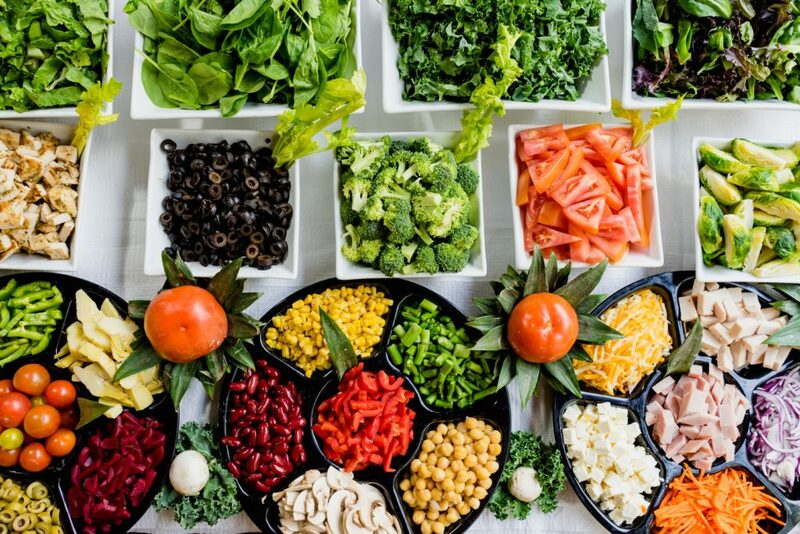 Add protein, beans, more veggies, cheese, and other condiments to make your salad unique every time. You can also make fruit salads or blend vegetables with fruit for an interesting new meal. No matter the occasion, chili is a viable dinner option. It fills you up and tastes great. It’s also easy to make large portions if you need it for a gathering or event. Pro Tip: Make chili the day before serving for maximum delicious flavor. It’s hard to resist a juicy burger. That’s why I had to include it on our dinner ideas list. Burgers are easy to make, you can easily make them gluten free by adding a gluten free bun/roll or wrapping your protein in lettuce, and burgers have a lot of exchangeable variables as well. 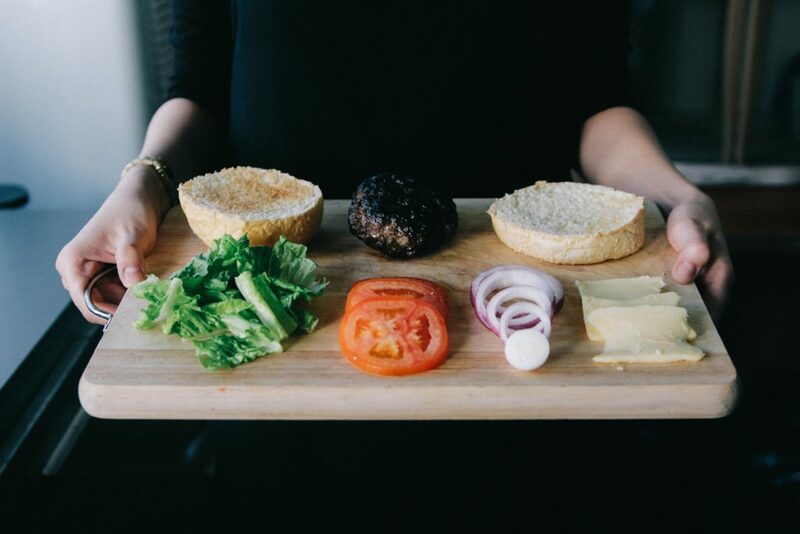 Included below are some gluten free burger ideas to get you started. Definitely check out the Mediterranean recipe, it is a personal favorite and such a unique type of burger! Last, but definitely not lease comes pasta. A staple meal for many households. 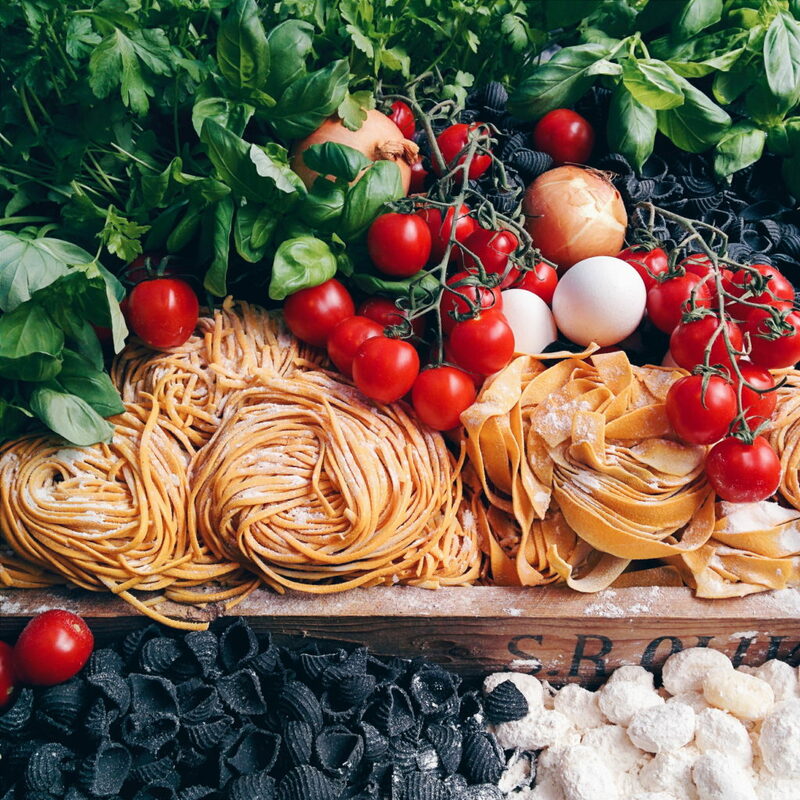 Pasta is a great gluten free dinner idea because there are so many gluten free noodles becoming available. We hope these gluten free dinner ideas were helpful. 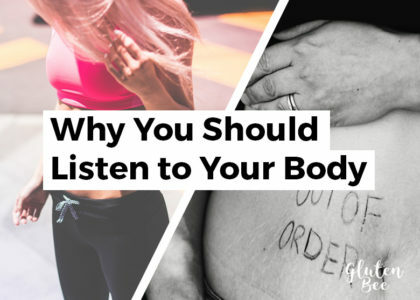 You can find more healthy recipes and useful resources on the blog. 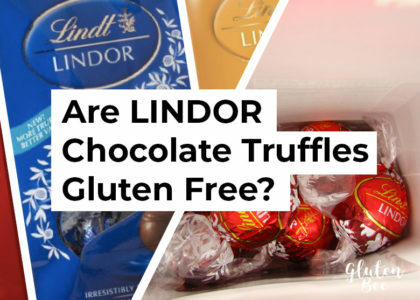 Read Next: Is Sriracha Gluten Free? Did we miss something? 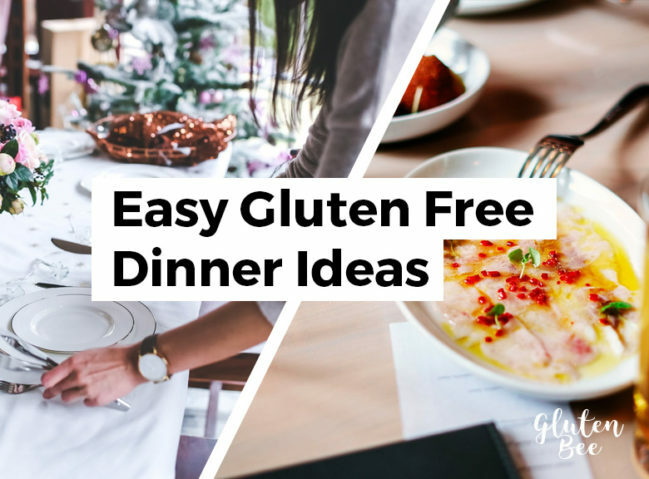 Leave a comment below with your favorite gluten free dinner ideas so we can add them!